UpdraftPlus Vault is the remote storage for your backups, from the makers of UpdraftPlus. Easy to set up, and easy to manage, it is the easiest option for keeping your backups safe. With every purchase of the UpdraftPlus Premium plugin, you get 1GB of free backup space. When you fill that up, you can buy more. This product will provide you with a subscription to 5GB of extra backup space. Choose whether you prefer to pay quarterly, or (at a discount) annually. This product is for 5GB capacity (additional to any existing capacity you have). Other capacity options are available. For full information on UpdraftPlus Vault, including information about the processing of automatic recurring payments, please follow this link. 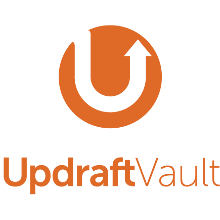 The product FAQs at that link constitute the full product description and user agreement for UpdraftPlus Vault.